The 2013 Mobile Recruitment Conference takes place in London on the 11th July 2013 aimed at helping Recruiters address major mobile related problem areas. 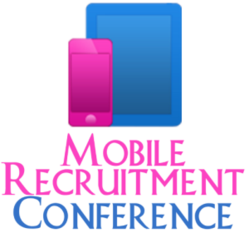 The 2013 Mobile Recruitment Conference will be taking place in London on the 11th July 2013 and will be aimed at helping Recruiters address major mobile related problem areas. “One of the major problems that Recruiters face is the demand from job seekers to search and apply for jobs using a mobile device. The demand is far outstripping the ability of recruiting companies and businesses to implement a mobile-enabled web presence” said Mike Taylor from the Mobile Recruitment Conference organisers, Web Based Recruitment. The Mobile Recruiting Outlook Report issued by Simply Hired in January 2013 showed that 70% of job seekers had used mobile technology to look for a job. Furthermore, it found that 86% of job seekers would use mobile technology if there was an easy way to apply for a job. However, if you look at the recent iMomentous Fortune 500 Mobile Readiness Report, it showed that only 33% of companies had a mobile careers section and only 3% had a mobile apply function! “Mobile usage has grown significantly since our first Mobile Conference in 2010. With 8 out of 10 phones now sold in the UK being smartphones, it really should be no surprise to recruiters that so many job seekers are now expecting to be able to search and apply for a job using their mobile device” continued Taylor. Alex Kozloff, Head of Mobile for the IAB (Internet Advertising Bureau) in the UK is one of the conference speakers. Alex will be speaking about the latest mobile trends, with plenty of case studies and examples, as well as offering her mobile predictions for the future. In addition, there will also be a series of Mobile Master Class Sessions covering mobile websites, mobile apps and mobile marketing. By the end of the day Recruiters will leave not just knowing “why” to implement mobile recruitment, but more importantly “how” to implement mobile recruitment. Web Based Recruitment ran the worlds first ever Mobile & Video in Recruitment Conference back in September 2010 (having run Europe’s first Social Media in Recruitment Conference in July 2009). Over the last four years more than 1,000 delegates from 23 different countries have attended the conferences organised by Web Based Recruitment.